Did you check if the WeMos does have enough power on the 3.3V output to power the NRF24L01_PA+LNA module without resetting itself? Yes, everything worked fine with a PA+LNA module or a RFM69HW using the WeMos 3.3V output. I only tested on a D1 mini pro, but the D1 mini V2 use the same RT9013 (3.3V, 500mA) regulator so should not matter. Wow, thank you very much ! I was planning to do a similar board (for D1 mini pro and nrf24 PA/lna SMD) and you are saving me lot of time. Possibility to solder rfm is a nice extra for when I'll want to switch to a better radio type. Great job, and great write-up too! I like how you included many different radio module options onto a single shield and that the shields are stackable, so that you can "have it all" on one gateway if you wish. That makes for a nice modular approach and a good use for any extra boards that come from the fab. How well do the YJ-13039 modules (i.e. the amplified, high-powered version of the NRF24L01+ SMD module with the chip antenna) work? Prior to your post, I didn't know that a surface mount module of that kind even existed. It sounds quite promising! How does its range compare to the rfm69 as well as to the reglar NRF24L01+? I had the same problem with my order of RFM modules and push buttons, took forever to be able to assemble everything for testing and taking pictures. I guess 2 months ago they were sending a lot of stuff out to be ready for Christmas in stores. I like how you included many different radio module options onto a single shield and that the shields are stackable, so that you can "have it all" on one gateway if you wish. I may be wrong, or did not understand you correctly, but I don't think you can "have it all" on a single gateway. You can have 4 different gateway if you want (3xRFM69 with different frequencies + NRF24) but you can't stack different radios on the same arduino/esp. But yes definitively a way to use the extra boards you get from the fab house. You can also use the WeMos as a node/repeater and ignore/disable WiFi or even better add a WiFi layer to do something else (direct http api, remote serial monitoring, webpage to update firmware, etc...). I don't really know how to do that, but I'm sure some smart people do. On a WeMos you don't have a lot of pins left when the radio is plugged, but it should be enough for many projects. These PA+LNA SMD module work nicely. I have one of these on my current GW https://www.openhardware.io/view/116/MySRaspiGW-PALNA and so far no complaints. I really like these NRF SMD modules (regular and PA) as they fit under a pro-mini between its headers. It allows you to have a very compact device when assembled. Range wise, no idea. A regular NRF is already enough to cover my whole (small) apartment with cardboard walls (they don't really know what insulation is in California...). Until 2 days ago I never had / tested a RFM radio so no idea either. But maybe someone else did some tests with these modules? Else if you do let me know how it goes. Thanks. I just now ordered some of those PA+LNA SMD modules, using the link you provided in your BOM. Ironically, they cost more than the RFM69HW modules, but I thought it's worth a try anyhow. I did also receive all parts today and did solder an NRF24L01+PA+LNA WiFi Gateway. Everything runs fine from the beginning. Thanks. Did you test this module with a RFM69HW module? I don't get a connection between two modules. I did solder all pads of the RFM69 but I don't think this should cause me problem. I'm getting closer to a "solution". I did try an other library for the communication to an RFM69 and I can read the internal temperature and the register values. So the wiring of the chip is correct. Now I have to find out why MySensors has problems. I answered to your other topic, but I think that's because you are not defining the IRQ and CS pins in your sketch. Have a try by using the provided sketch on the Gateway, or define the pins on yours, it should hopefully fix your problem. Could you solve the problem that the gateway is not working with the RFM69? Is it related to the MySensors library and the ESP? Right now I have it working, both gateway and sensor compiled with MySensors 2.1.1. I updated the default sketch, adding the missing line, and it's now available on github. @gloob Did you had time to test on your side and can confirm that everything is working correctly? Currently I don't have a WeMos to test everything. I will come back to thins topic once I receive my WeMos from china. But you solution sounds good to me, as I did test the PCB with some other software and it was working without any problems. So it must be a problem related to the configuration and not to the wiring of the PCB itself. Hello, I just ordered from PCBs.io. Thank you for the design @emc2 ! Ok, this is a really stupid question but how do I use this with for example Domoticz? Do I still need to connect it to the usb-port or do I connect using MQTT or some other way? @Cliff-Karlsson add it as an MySensors ethernet gateway. Ok, I just soldered two of the shield using smd nrf-radios but I only got alot of errors from the serial monitor. Also the boards got hot as hell after a minute. The wemos was really hot and the nrf was untuchable. I through that had done something wrong with the first shield so I soldered another but it was also as hot as the first. And should I enter the SSID and password for my home wifi-network or should I use the sketch to create a new? I tried both with no success as I got some default network called aitinker or similar both times. It should not get hot at all. The Wemos can get a few °C above room temperature but definitively not "hot as hell"
It happened to me once, when I had some solder joints between 2 pins of the NRF. You may want to test with a multimeter if, when the WeMos is unplugged, you have any shorts between adjacent pins. A picture of the soldered board may help too. Best way is to edit the example sketch by adding your Wifi credentials on it before uploading them. Hello, After soldering the radio and before connecting to power you should use a multimeter in "continuity" mode and make sure you have no contact between adjacent pins of the radio. I never connect a circuit using SMD nrf24 without having done this test. , After soldering the radio and before connecting to power you should use a multimeter in "continuity" mode and make sure you have no contact between adjacent pins of the radio. I never connect a circuit using SMD nrf24 without having done this test. Can something in my sketch cause this or is it 100% hardware issue? // Decrease RF24 power transmission, useful to test in case of Tx problems. // Enable this if you want destination node to sign all messages sent to this gateway. You've got your answer here. You should have MOhms especially between Vcc and GND pins where I have infinite resistance. another stupid question, do I need the capacitator on the radio-side for it to work? It should indeed "beep" between all the pins. NRF modules are also very fragile, once incorrectly plugged they are usually definitively toasted. So even if you desoldered and then resoldered them correctly it is unlikely they will work correctly. Yes you need the capacitor radio side, it's the only required component, everything else is optional. It don't have to be 4.7µF, anything between 4.7 and 47µF will do, as stated in the assembly instructions. I have got some strange issue when using RFM69HW. I modified the sketch by chosing RFM instead of NRF, and also uncommented the line "MY_IS_RMF69HW"
Everything looks like it is working when using the serial console, the wemos gets an ip and I can add it to domoticz. But after a couple of minutes it stops working. Same if I power it from mobile charger directly, works a while then dies. I have tried with different Wemos and it is the same. Can a faulty radio cause this or could it be something other? Not sure. I do not have any RFM sensors, I tested the gateway for a little more than a week with a mock sensor and it was working. Maybe some logs could help? You can also hook up the RFM shield to a regular arduino nano to do a serial gateway, this way you can check if it's radio dependent or not. Sometimes my own stupidity still amazes me. The pins of all my wemos where soldered at the oposite side as the ones in your examples. all the radios then got powered using 5v instead of 3.3v, not very suprising that the nrf radios got hot as h*ll and that nothing worked as it should. Suprisingly the RFM69 seams to have survived. I guess the smd nrf24 all are toast. Glad to see you have it working! Let me know if something was unclear in the instructions or if it can be improved to prevent people to solder them flipped. Is it possible to free D2 on the WEMOS, it is used on most WEMOS shields for I2C. @Mynasru unfortunately the only other suitable pin would be D1, SCL. Wemos do not have enough pins to do gateway + I2C, you will need to switch to a nodeMCU or similar. Also keep in mind that D2 is a MySensor default for ESP8266, I tried to have it moved when support was added https://github.com/mysensors/MySensors/issues/408#issuecomment-191403862 but without success, meaning you will need to reassign CE in your code. @emc2 Hmm that's a pity. I could not find why specifically it was assigned to that pin other than that it is a MySensor default, so I thought maybe it can be changed (manually). I wanted to use the WEMOS system for my nodes, not as the gateway. But if it is not possible to free up D1 & D2, there is no benefit in using them. This board is the best I could find, I would order them if D2 is freed for D4. Could you make it possible to use one of both (with a jumper of some sort) so it is compatible with either WEMOS shields, or the MySensor defaults? Very bad result with this PCB and Ebyte NRF24 PA+LNA module. If the shield is distant from the Wemos D1 (not upside) it works fine. There is interference between ESP and NRF I think. @fabien Never heard of the "Ebyte NRF24 PA+LNA module", do you have a link for it somewhere? So far I've been using a few of these with the "regular no name" PA+LNA from Aliexpress and did not have any problems. What are the symptoms you are observing? Looks like a neat module indeed. Never tried these, but yes I guess if the external antenna and the wifi antenna are too close it may leat to some interferences. Would also need to check that the 3.3V is powerful enough to properly feed the esp and this chip at the same time, I guess it may depends on the antenna plugged to it too. Yes it could be a problem too, I put the additional voltage regulator on my gateway, it costs nothing and takes 2mns to solder, so I see no reason not to put it. 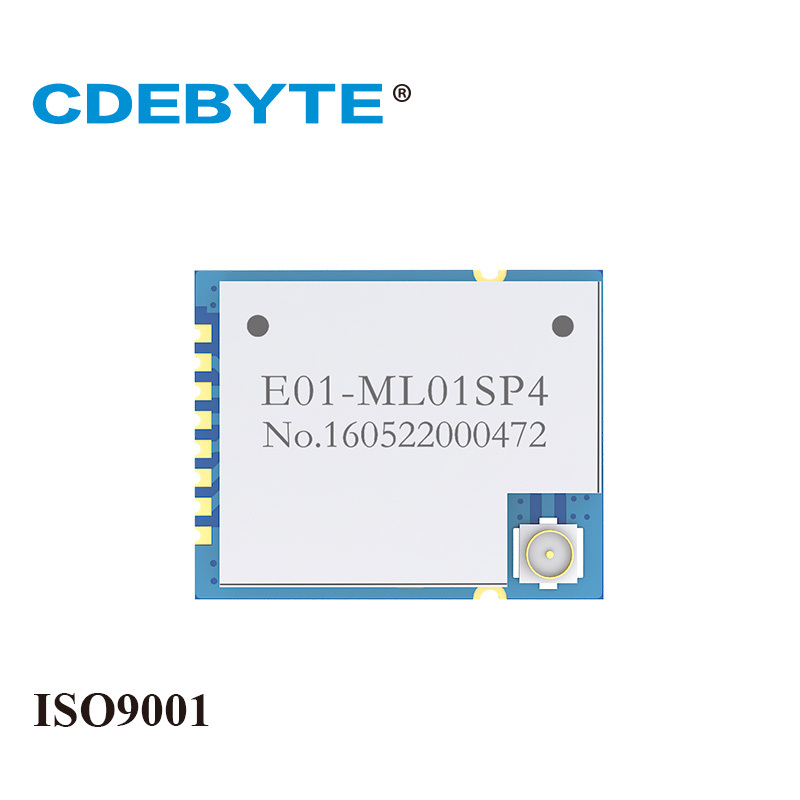 Best EByte module is ML01DP5 but it's not SMD. 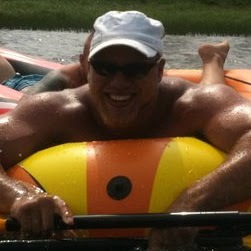 @nca78 you are right. I'm using ML01SP2 and range is not good (with PCB or IPEX antenna). I'm adding volatge regulator without success. If I put the PCB on a proto board result are far better. So it's probably interference between ESP8266 and NRF24. I'm waiting for ML01DP5 but do you know if someone already made a pcb for this one and ESP8266 board (Weemos or other) ? What are the parameters of this radio, I could not get it to work. Suspicions that he had no speed 250.